Pirate Face Tattoo has created a kit that is great for those that are new to the tattoo world, while also appealing to the apprentices and professional artists as well. 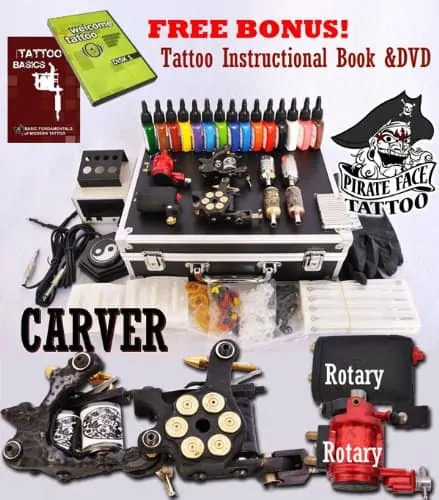 If you are looking for an all in one kit that is great to take on the go the CARVER Tattoo Kit with Four Machine Guns is one of the best options for you. This kit comes with so many accessories that it puts other tattoo machine kits to shame. What is inside this tattoo gun kit? Inside the CARVER Tattoo Kit, you will find four machine guns (2 Rotary Tattoo Machines, 2 Coil Wrap Machines), a power supply, sterile needles, lots of ink and other accessories to tempt the budding artist. The kit comes with everything that you might need to begin your hobby as a tattoo artist, or to carry along with you to those at home artwork tattoo-session nights. The kit also comes with an added bonus that no other kit seems to have and that is a 6-month warranty on the power supply and the tattoo machines. 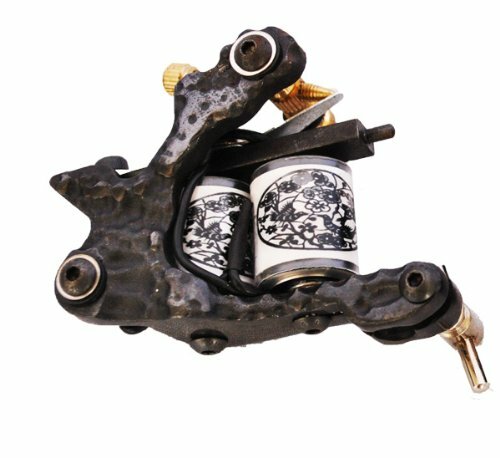 The tattoo machines are designed with both the beginner artist as well as the seasoned artist in mind. In the CARVER Tattoo Kit from Pirate Face Tattoo, you will receive four machine guns. Two of these are basic 10 wrap coil machines. The other two machines are also 10 wrap coil guns; however, these two are rotary tattoo machines. Also in the kit, are 50 sterile needles in ten different sizes. The needs in the kit Include shader, liner, and magnum style needles. The CARVER Tattoo Kit comes with a power supply that is considered to be rugged and reliable. 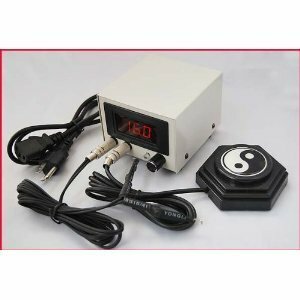 The power supply allows the ability for 110V or 230V when using the tattoo guns. The power supply has proven to be a little bit inconsistent. The power supply has however show to be usable and a great for beginners. Pirate Face Tattoo offers more inks than any other kit. This ink kit comes with 15 different colors of ink. The inks kit includes the following inks: Black, White, Dark Red, Tomato Red, Blue, Sky Blue, Green, Forest Green, Violet, Lavender, Brown, Shallow Coffee, Bubble Gum Pink, Deep Yellow, and Orange. So many kits off six or eight colors but this one are 15 different colors. The kit also provides the artist with 27 disposable tips and 8 stainless steel tips. You will also receive 100 ink cups and an ink cup holder. Pirate Face Tattoo provides many accessories that many other tattoo kits for sale do not have. The CARVER Tattoo Kit comes with an adjustable tool kit, and disposable gloves. The accessories provided also include a sheet of transfer paper and practice skins. 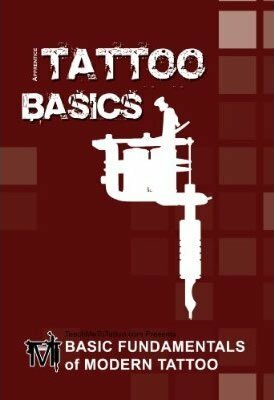 Finally, the kit provides a CD that has tattoo presentations for all to enjoy and a book to help you learn the basics. The whole kit comes in a black carrying case that has space so that everything can fit. In summary, the CARVER Tattoo Kit by Pirate Face Tattoo offers you a complete tattoo kit for sale. This gives you the ability not to buy other products as everything you need is in the kit already. Also, 6-month warranty that is offered on the power supply and the tattoo machine guns provide you the reliability you need. So, The price is low and with the warranty, it’s of the better tattoo starter kits, suitable also for apprentices and tattoo professionals. Buy the CARVER kit on Amazon, internet most reliable shop.